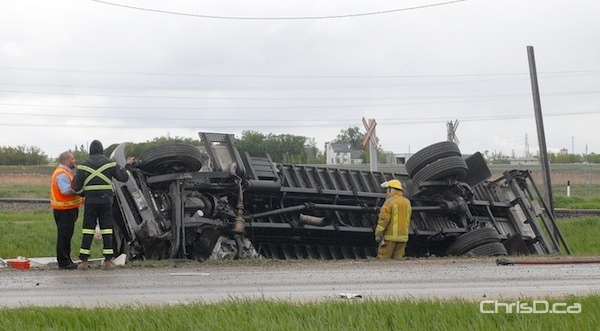 A transport truck carrying flowers overturned on the Perimeter Highway Friday afternoon, sending bouquets spilling into the ditch. The crash happened on the north Perimeter and blocked the eastbound lanes near Pipeline Road. The impact also took out a nearby railway crossing light. RCMP diverted traffic around the scene while crews cleaned the area. No word on what led to the crash or if there were any injuries.